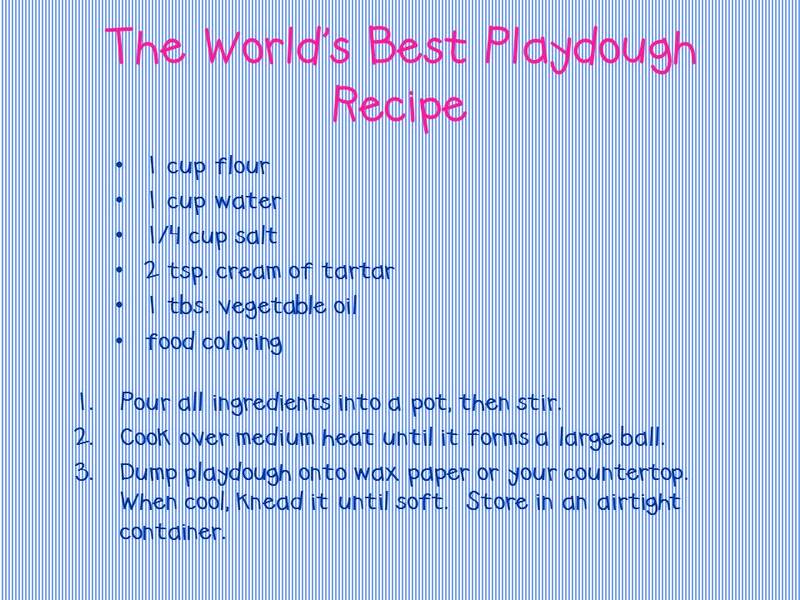 I found a pin on Pinterest a few months ago that completely intrigued me... it was titled "The World's Best Playdough". I just knew that I HAD to try it! I finally did a few nights ago, and that title is 100% true. I have never touched such squishy, soft, magical play dough! Here is what you need to make a double batch: 2 cups flour, 2 cups water, 1/2 cup salt, 2 tbsp oil, 4 tsp cream of tartar and food coloring of your choice. Since my little ones are obsessed with pumpkins lately, I decided to make orange playdough scented with cinnamon, nutmeg and ginger. Mmm! Gather your ingredients. Not pictured: spices, oil. Dump all of them into a pot. Stir well. Cook over medium heat, stirring often until it forms one large ball. Remove from heat immediately. Dump play dough onto waxed paper or your countertop. When cool enough, knead until smooth. Store in an airtight container. Oh my gosh... my kids are obsessed! They have been "baking" cookies in a little oven that I made out of a cardboard box. You would think that it was the fanciest toy in the world. And I know what you're thinking... nobody has eaten any (yet)! Our fabulous para Ms. C had a great idea... let's get the families involved! Not only is it very inexpensive and easy, it would be a great project for the kids to participate in as well. 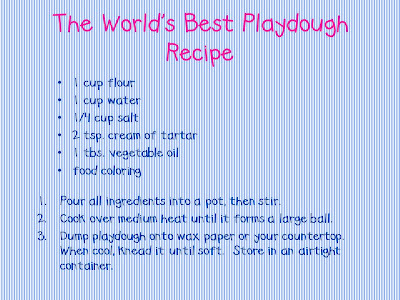 Here is a letter that I wrote asking parents to get involved in our "Play dough club" as well as a copy of the recipe. There is space for you to add your name and the date you'd like them to bring it in. I hope to have parents bring in a fresh batch every two weeks so that we always have beautiful, squishy playdough for all of our many playdough activities. 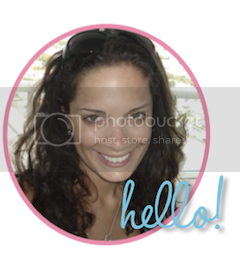 Labels: Literacy Centers, What's Cooking? Play Dough Club is a brilliant idea. And I can confirm that it is in fact the softest, squishiest play dough ever. I believe I brought home a tad on my shoes today! I love this idea! Adding smell is a fabulous idea...what a great way to make the playdough center new and interesting again! We like to add all sorts of stuff to our playdough. The kids love our holiday playdough which features glitter and a peppermint scent. We also have a great recipe that uses Kool-Aid drink mix. The color is great and the smell is fantastic!